1. The Acoustic Generation DJ and Live Music shows us that it’s never too early to offer couples a deal on wedding service packages. An "early bird special" is a great advertising tool even beyond the wedding sector, as it offers any individual planning an event the peace of mind that comes with securing a vendor well ahead of time. It also offers you, the vendor, the opportunity to schedule out more future bookings– which we know also puts you at ease! 2. Creating Party Specials exclusive to a particular location is a great way to geographically target potential clients. 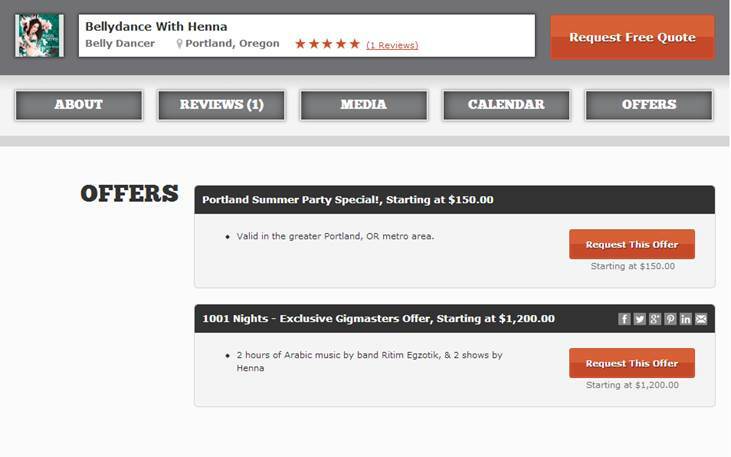 Just take a look at the Bellydance With Henna’s Summer Party Special for residents in the greater Portland/metro area. … And that’s not even their Featured Offer. 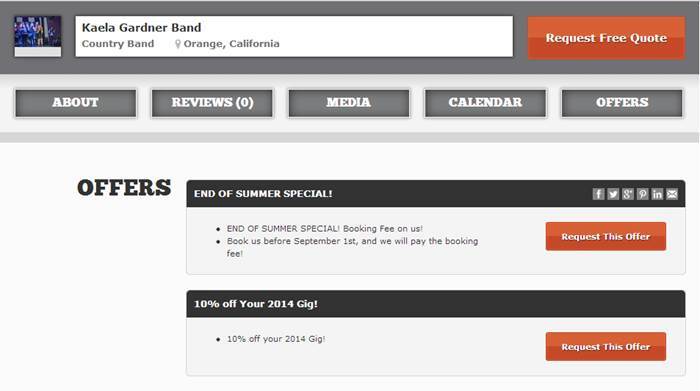 The 1001 Nights – Exclusive GigMasters Offer? We love it! 3. Taking into consideration special pricing for audiences old and young is important for any vendor. Uptown Lowdown Jazz created a fantastic 20% off special for all performances booked at senior living residences. 5. Don’t forget, businesses need some lovin’ too! Offering corporate discounts for events like holiday parties is an easy way to expand your circle of clientele. Take a look at the discount being offered by Jason Kendall Productions. These are just a few of the creative packages members have whipped up so far. The possibilities for customizing this profile feature around your services are endless! And so we ask, What do you have to Offer?